Riser21/31 and Lid – Fixed height 21″, outside diameter 31″. Can be stacked for greater depths. 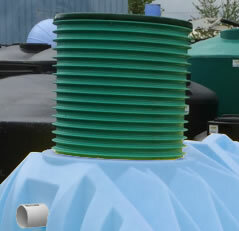 Access lid supplied with tank can stay in place for added security. Nominal diameters 20″ and 24″. Riser height in 6″ increments. 6″ and 12″ vertical sections. Adapter ring for securing to top of tank. 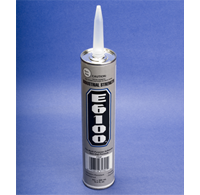 Regular or heavy duty cover lid. 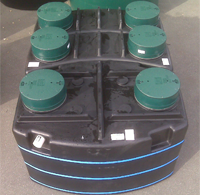 Access lid supplied with tank can stay in place when using 24″dia. risers. Nominal diameter 24″. Riser height in 1″ increments. Cut length to suit. Secure to neck at tank access opening. PolyLok 24″ adapter ring with PolyLok regular or heavy duty lid. Discard access lid supplied with tank. 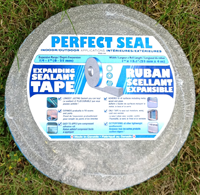 PERFECT SEAL Foam tape – impregnated and compressible.